Blue Water Pools is founded on craftsmanship that exceeds expectations & every pool we build is truly a work of art. We obtain a large portion of our work via word of mouth from our satisfied clients who can’t stop spreading the word about us. We’re only limited by your imagination and our skills allow us to replicate any type of custom pool designs that you may have seen. The sheer quality of the pools we build will enhance the value of your home & all Blue Water Pools are a true pleasure to swim in. Blue Water Pools (Aust.) 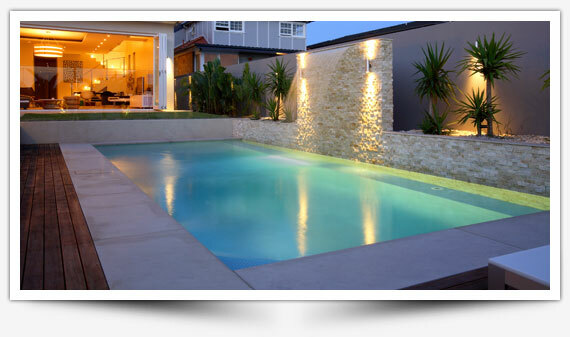 has grown predominantly on the strength of customer recommendation and industry referrals, and is now a well known name for pool repairs & construction throughout Sydney. We have secured the services and loyalty of a highly competent and enthusiastic team of professional tradesman who build pools to the absolute highest standards, exactly the way Dean demands they be built. At Blue Water Pools we pride ourselves on superior workmanship, excellent customer service, and an endless commitment to detail & quality. Our mission is to provide industry-leading customer satisfaction & create gorgeous in-ground concrete swimming pools and themed outdoor areas which work in unison. Dean, the principal of our company, started in the industry around twenty years ago contracting to a reputable Sydney based swimming pool Company as a service and repair technician. Over the next ten years Dean, worked his way through the company gaining the detailed knowledge required to repair, renovate and construct domestic and commercial swimming pools to the highest standards, achieving the status of Swimming Pool Builder. As a result of public demand Dean made the decision to stop contracting and start his own business. 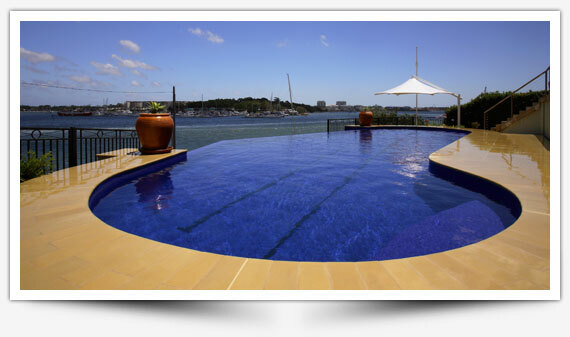 Blue Water Pools (Aust) Pty Ltd was formed and is run and managed by Dean & Michele Bevis, with the core business being swimming pool construction, pool renovations, concrete pool repairs & services. WE CAN BUILD YOU THE POOL OF YOUR DREAMS - GIVE US A CALL TODAY!